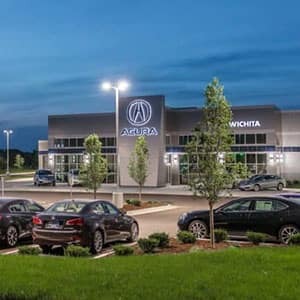 The 2019 Acura MDX’s expansive cargo bay is proof that you don’t have to sacrifice utility in order to enjoy true luxury–and families in Kansas City have been quick to take notice! Autoweek reports that this year’s MDX is offering “a whole bunch of updates and one brand-new trim,” but no matter which MDX packages and upgrades you select, Acura’s flagship 3-row crossover will help you get more out of every mile. Read on to learn more about the 2019 Acura MDX’s cargo space, and to find out what this SUV can do to make your life easier. Even with a cabin full of passengers, you’ll have access to 15.8 cu. 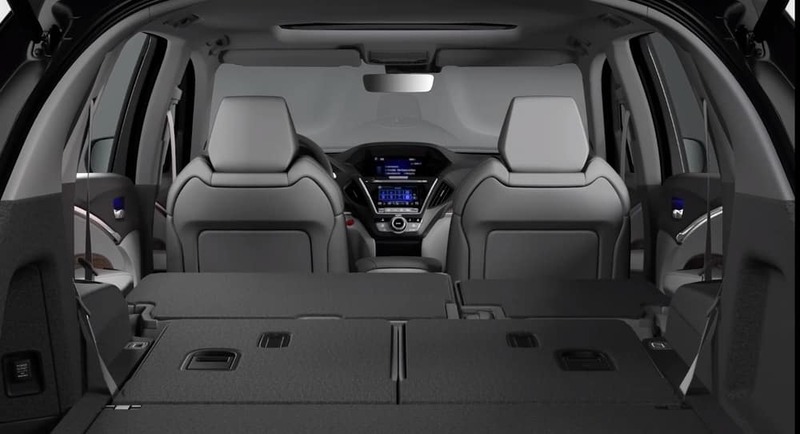 Ft. of Acura MDX cargo space behind the 3rd row of seating–more than enough room for your family’s groceries, sporting goods, and school supplies. Additionally, with two rows of split-folding rear seating standard in every MDX, you’ll be able to convert seating to get up to 90 cu. Ft. of storage at a moment’s notice, even when you’re away from home. Of course, these aren’t the only convenience and ease-of-access features that distinguish the MDX from competitors. Folding Acura MDX Seating: 60/40 Split Folding 2nd-Row Seats and 50/50 Split Folding 3rd-Row Seats come standard right from the start in the MDX’s baseline trim. Those who opt for the Advance Package, or who equip the Technology and Entertainment Packages in tandem, will receive 40/40 Split Folding 2nd-Row Captain’s Chairs instead of a folding bench seat. Remote-Linked Power Tailgate: You won’t have to upgrade your MDX to enjoy a enjoy a stress-free experience when you’re loading up with cargo. Even with the MDX’s Standard package, you’ll be able to access your vehicle’s cargo bay simply by pressing a button on your key fob. Storage Within Arm’s Reach: Every MDX features Multi-Functional Center Console with a sliding armrest, a small-item storage tray, and a lower storage space with plenty of space and charging ports. An additional 2nd-row Center Console with identical functionality comes standard with the Advance Package. Seat-back pockets, door panel compartments, and a hidden storage well are standard across all models. Roof Rails: Roof Rails greatly improve your ability to transport bulky, messy, or otherwise unwieldy cargo. They’re standard components for drivers who choose the Advance Package. 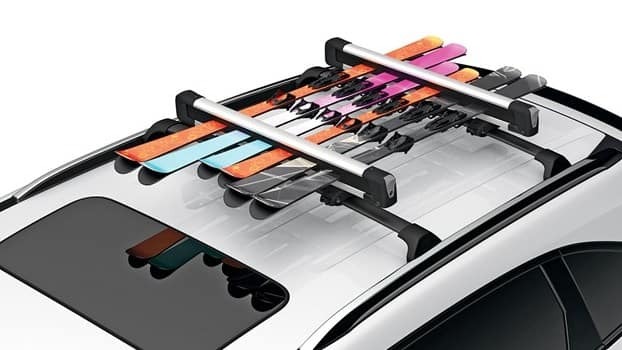 When you take advantage of the Acura MDX’s wide array of available accessories, it’s easy to customize your vehicle while greatly expanding its capabilities. Most are optional no matter which packages you select, so you can get exactly what you desire without paying for features that you don’t require. Drivers who opt for any of the following features can get more utility out of their Acura MDX’s cargo space dimensions. These accessories can help you stay organized, keep your cargo bay clean, and prevent life’s daily adventures from generating wear and tear. 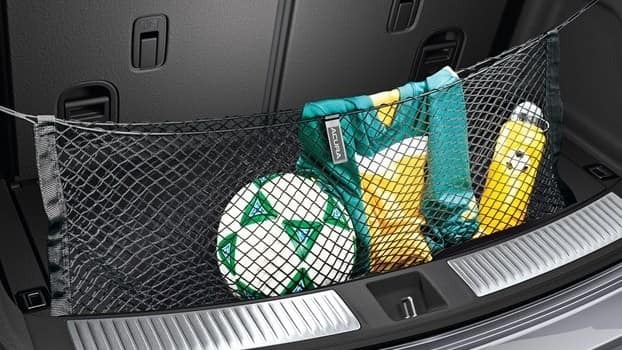 Drivers who opt for a few exterior accessories will be able to transport equipment and sporting goods of all shapes and sizes, without taking up all of the Acura MDX’s cargo space. Experience the MDX for Yourself! 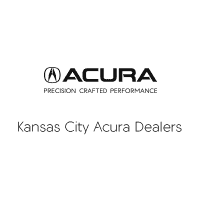 The 2019 Acura MDX’s cargo volume makes it a superior option for the Kansas City’s most adventurous families–and there’s never been a better time to get behind the wheel. 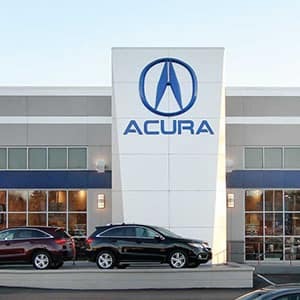 Curious drivers can get a hands-on feel for the 2019 Acura MDX’s cargo space by scheduling a test drive at their local Acura dealer. Contact us today to start exploring our current offers!